Nail polishes are often one of the first things you experiment with as a young girl growing up, they’re often one of the first makeup type products you ever own. Within a few months (mum and dad permitting) you have amassed a collection that is full of insanely bright colours and more glitter than you can shake a stick at. Fast forward twenty odd years later, I still have a box full of nail polishes with a variety of shades and glitter; clearly not much has changed. Generally speaking though, these days I know which polishes are good and which ones are worth avoiding, be that high street or higher end. Whilst on that subject matter, I rarely buy a nail polish which costs more than £6, the reason for this being is that I firstly get bored quite quickly and like to change my colour regularly and secondly, I actually think that despite claims of lasting two weeks and the like that in actual fact no polish ever survives chip free for more than a week or so (or at least not in my experience). One range which I have really rated in recently years has been the Rimmel Salon Pro range which was released a couple of years ago. My favourite shade ‘Hip Hop’ adorned my nails all summer in 2014 (I cannot believe it was that long ago) and has ever since remained one of my favourite shades but crucially one of the best formulas that I have tried to date. 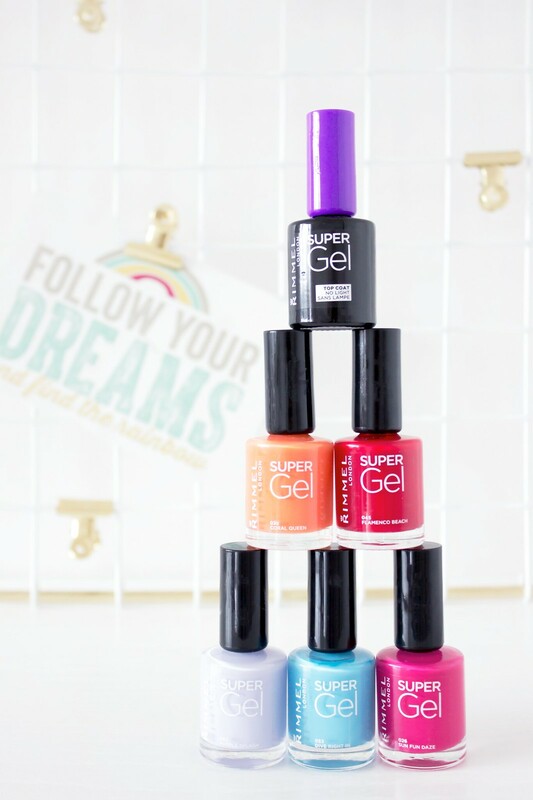 Therefore, with the arrival on my doorstep of the new shades from the Rimmel Super Gel Nail Polish* range I was super excited straight away, I had rather high hopes after my experience with the previous range. The new range consists of an array of bright and nudes shades, nearly all of the shades appeal to me which is a great start. The concept of this is simply that you choose your shade, apply two coats and then use on top the super gel top coat which activates the curing process; essentially giving you salon finish only without the salon. 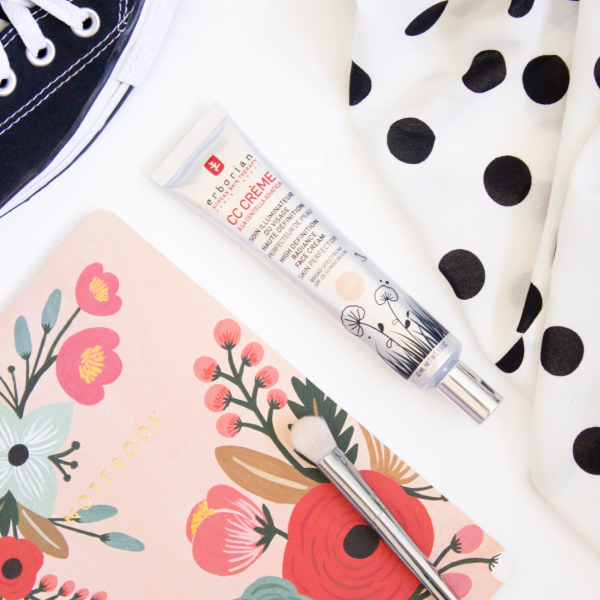 The shades have a built in base coat so technically you do not need to apply one before you go in with the colour. The brush is nice and thick which I find works well for me, my nail beds are not big at all which means I often cover my whole nail without having to make any extra touch ups. Now, this is where things get slightly controversial as in my experience having used these I found that they applied really well; they were very pigmented and if I am honest did not require a second coat in my opinion. The texture was thick but did not take an unnecessary time to dry and the top coat did a good nice job of sealing the colour and making my nails look super shiny and to some extent a really nice gel effect. I was pretty happy with the results and personally didn’t notice any chipping at all until about five days in. However, please note that I do not have super long nails, if you have long nails like my sister you may experience a different result. My sister also tried some of the shades, went away and came home about four days later. One of the first things she said to me was a comment in respect of the nail polish and how badly it had lasted on her nails. She had told me that the application in first instance had been bobbly (this was not something I experienced) and that she had suffered chipping within just a day of wearing the polish. So, overall I am on the fence with this one. I personally had no issues at all, yet I did see the state of my sisters nails and agree that if that had been me then perhaps this post would have been more critical; however, I can only really speak from my personal experience but do fully take on board that of another person. Have you tried these polishes? What has been your experience?